Welcome to Day Three of March New Release Previews at The Greeting Farm! Todays Set is Called ROCKSTAR ANYA 2! 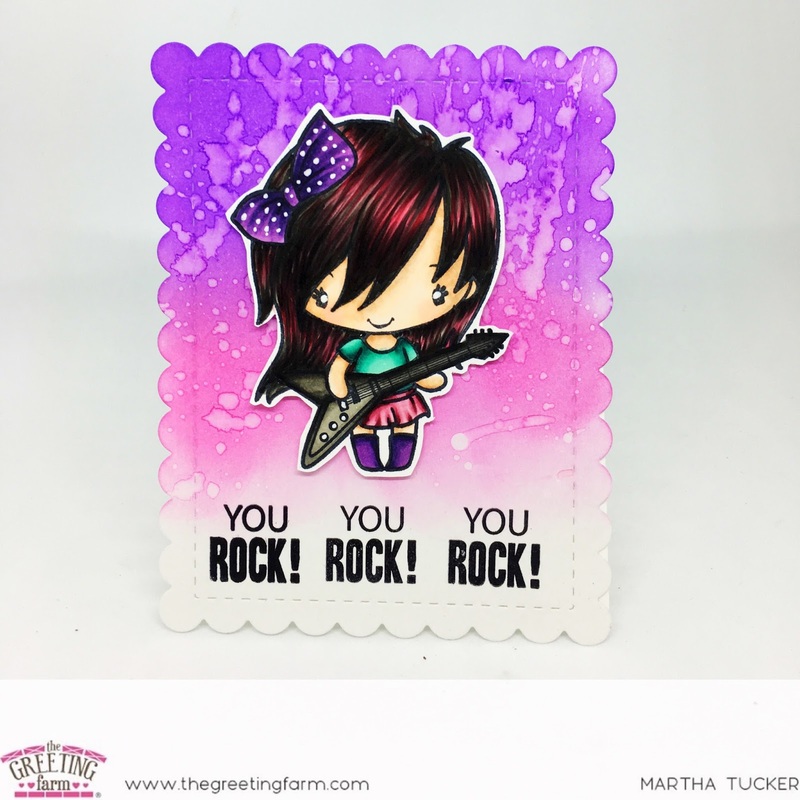 Here is my card with this Adorable Rocker Chick! Please pop back tomorrow to HOP along with us!! She's adorable! I love the purple color blend choices for this card!